If you are in the barbering industry, chances are you have at some point considered opening your own barbershop. Its the students dream, the journeyman’s ambition, and the master’s reality. So where do you stand? Are you ready to open your own shop? This blog series will discuss the trials and pressures associated with opening a barbershop, as well as celebrate successes along the way. Within this series, we will be talking with successful shop owners who will share with you their failures and successes with hopes that you leave inspired and ready to take on the challenge of becoming a business owner, or that you leave knowing that owning a shop just isn't for you. First, it is ok to conclude that owning a shop is not for you. There are plenty of other ways to ensure that you make good money, so if you do decide that you do not want to open a barbershop, I encourage you to get creative in seeking other methods of success within the barbering industry. Second, if you decide that you do have what it takes to open a shop, then I highly suggest that you get started immediately with preparation—before you know it, your best opportunities may pass, so be attentive and don't procrastinate! While there are numerous steps associated with opening a business, I want to focus on the essentials concerning the barbering industry. The successful barbershop owner has a few beneficial character traits that make the shops success that much smoother or efficient. For instance, an individual who lacks administrative skills can successfully open a barbershop, however they are going to have to pay someone to basically run their shop, therefore their profit margins will be significantly less than someone who can effectively take the role of an administrator. This requires the aspiring business owner to self-reflect upon their character, talents, and abilities. There is no shame in admitting you lack the ability to fill a role, but realization of this shortcoming is essential in ensuring the role is filled effectively and efficiently. Personally, I am a terrible administrator, therefore I would need to rely upon another individual to take a management position. Before getting into the fundamentals of opening a barbershops, lets take some time and reflect upon fundamental characteristics required to be a business owner. The following traits are generally accepted as essential characteristics required for aspiring business owners. Take some time, reflect upon each of them, and decide whether it would be beneficial for you to tackle this by yourself, or if you either need to partner with another individual, or hire a manager to fill the roles which you are weak in. If none of these characteristics sound like something that defines you, then perhaps opening a shop is not your best route to take in the industry. Drive and motivation are directly related. 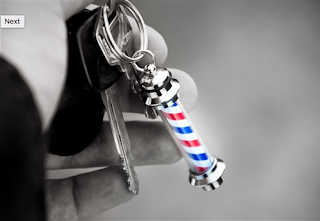 The barbering professional looking to open a shop needs to be driven and motivated. This is a given! Why would you open a shop if you don't want to? If you have any hesitation regarding this principle, I would suggest stopping right here, as opening a shop probably is not for you. If you are not driven to open a shop, then you are not driven to grow your shop, yet alone keep it open. The barbering professional needs to be goal-oriented. How many chairs do you want? Whats your customer range? What product line do you want to establish and develop? These are the questions that need to be answered and developed into goals. The difference between goals and dreams, is that dreams are nice thoughts that never come to fruition, while goals are being achieved. DON’T be a dream, be a goal achiever. Confidence is essential in opening a business. Think about it…if you are not confident in taking a risk, then don't take the risk. Now, everyone has the voice in the back of their head that says, “what if something goes wrong? What if I fail?” Confidence is that ability to listen to that little voice, but reply with, “Yeah, things can go wrong, but I’ll address them if they happen. For now, I know that I have what it takes to conquer this goal.” The lack of confidence is what keeps dreams from becoming goals, and is what results in people failing to achieve their goals. If you want it to happen, make it happen. Address any issues as they come along, and believe me, there will be issues—rise above them! This is an extremely easy, yet often failed principle: don't spend more money than what you have available. We will discuss a business plan in a later installment, however, setting a budget and sticking to your budget will help ensure the initial success of your business. While spending more than what you have available does not always mean you are doomed for failure, it makes the risk associated with opening a shop much greater. My suggestion: make a budget, and stick to it. Your wallet and stress levels with thank you later. At the end of the day, you are responsible for your success. If you have a business partner, you are still responsible. Sound unfair? Well, you chose to partner with them, right? And if they are not pulling their weight or if they are making unreasonable decisions, that falls on you for choosing to partner with them. Being self-reliant means that you have the ability to literally rely upon yourself should the going get tough. No one is going to bail you out of hot water, so make sure that you have what it takes to carry a lot of burden on your shoulders. Usually, this means that the start of your business will be quite stressful, however it makes the fruits of your labor that much sweeter. Develop the ability to operate and think independently, as relying upon others can often increase the risk of failure. However, do not be so jaded to where you think this is something that must be done alone—behind every successful business owner is a team of individuals who helped make it happen. Humility is a virtue. Can you be successful in opening a shop while being boastful and proud? Sure. Do you want to be? No. Don't walk over other people thinking you did this all by yourself. Technically, your customers made you successful. If you are going to be proud, be proud and thankful of your customers. Being focused is essential for nearly everything pertaining to a successful operation, however, if you are considering opening a shop, you really need to make sure you are focused. If you start the project then get side tracked , you may miss opportunities. In the barbering industry, you are going to have to work with the state on deadlines for inspections and ensuring you meet requirements. Not being focused on the task at hand potentially means you fail inspection and lose out on valuable time and resources. Stay focused. 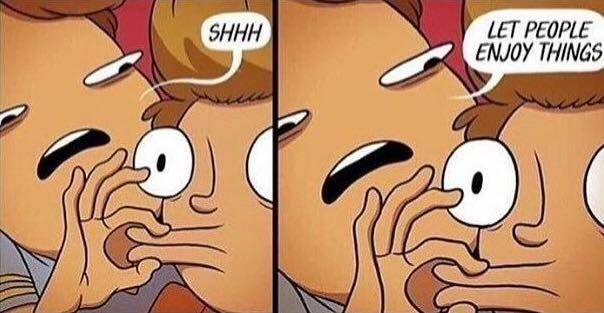 I cannot stress this enough—be open-minded. If you have this idea of what your barbershop needs to look/be like, yet along the way you discover that certain things need to change in order to better fit your customers, be open-minded to that change. This is the difference between you being successful in opening a shop, or just kinda mediocre. Customer preference trumps personal preference, so keep an ear to your demographic data and listen for advice and suggestions whether its from an individual or a personal observation. These are the characteristics and traits essential for opening a successful barbershop. How did you do? Do you embody each of these flawlessly? Do you struggle with a few of them? Perhaps the majority are characteristics that you know you do not represent? Whatever the conclusion, I imagine you are looking for next steps. If you are looking to get started in opening a shop, then you need to develop a business plan, which we will discuss next week. If you struggle with a few of these, then I suggest talking with some of your closest friends or family. The them your idea of opening a shop and see what they say. Be open-minded to their suggestions! Maybe they see something in you that you do not, for better or for worse. 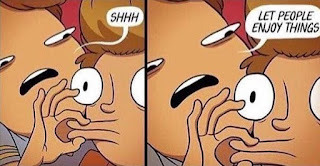 If none of these pertain to you, then I imagine you probably stopped reading a long time ago, which means I do not have to offer any direction! If this is you, then I bid you good luck as you look for other ways of being successful in the barbering industry. Next week, we will be discussing the role of a business plan and how to effectively make this dream into a goal. If you want to get some homework done first, then I suggest jotting down some dreams that you want your barbershop to be or look like. You might find new sources of inspiration! Till next week, happy cutting. 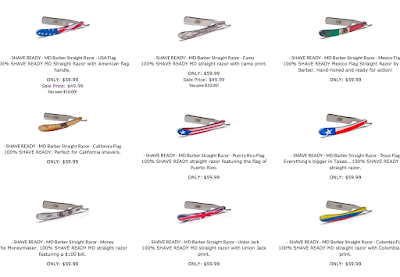 mdbarber.com has a huge selection of shave ready straight razors! Before coming to MD Barber Supply, I ran a very small straight razor sharpening and custom shaving brush project. I hesitate calling it a business, as it was more for fun as a hobby rather than an actual business, but over a few years time, I was able to get rather handy with a straight razor and develop a decent honing process. The best way I can describe the process of learning to properly hone a straight razor is the art of “trial and error.” This is certainly an art, and just like other arts, there is learning curve required before you begin producing razor edges capable of being considered a “masterpiece.” I ruined a lot of straight razors in my first few weeks of learning, and I’m thankful that none of them were extremely valuable or great quality. If you want to learn how to sharpen your own straight razors, I commend you and encourage you to do so! Be patient with yourself and you will eventually become a master (not that I am a master by any means!). The first thing I want to talk about when honing a razor is this: there is no one way to properly hone a razor. If you look into some of the honing communities on social media or on straight razor forums, you will more than likely see a plethora of people claiming to have developed the BEST way to hone a razor, and that all other ways are “stupid,” or even “damaging.” The funny thing is that this “best” method is released about once every week, and it always looks a little bit different than the “best” method the week before. As in every niche, there is always a group of individuals who want to dominate the industry and who desire to establish themselves within the hierarchy of the trade, seemingly ripping the joy out of whatever it might be. Music? I’m sure you know a legalistic musician. Writing? I see grammar Nazis on a daily basis. Honing a straight razor? Don’t even get me started. It’s difficult to identify the actual origin of modern straight razor honing, but try to put yourselves in the place of a frontier barber travelling via wagon train on the Oregon Trail. I highly doubt this individual possessed more than a few honing stones and a couple straight razors in his barbering box/pack. More than likely, this frontier barber probably had a single stone or honing surface which he used to sharpen his straight razors, surgical tools, and dental instruments. Remember, barbers were also the town doctors and dentists in many places. Nowadays, it is not uncommon for a “honer” to have 6 or 7 different stones which they sharpen the razor with in progression from lowest to highest grit. This process is slightly different than sharpening a knife, as a straight razor must have a “razors edge,” while a knife simply needs to be sharpened. Of course there’s more to the process, but I’m not going to bore you with the details here. You came to read about sharpening a straight razor, so I’m going to show you how I sharpen a straight razor! As I stated before, there is no one way to sharpen a razor, and as you progress in your ability, you will find yourself changing your preferred method even if ever so slightly, as many artists do. Before getting into the actual process, let’s talk about tools and cost. · Expected Total Cost: Around $700. You do not have to get the same setup I do, which is not even a completed set as I still have a few more stones I would like to get. As someone just getting into honing, I would suggest setting a budget around $200. This would allow you to get a decent strop along with 2 or 3 stones (1,000, 4,000/8,000 combo, and maybe a 10,000 if you are lucky). Some people prefer to get a “lapping stone” to ensure their honing stones are always flat, but I like to use 600-1,200 grit sandpaper instead since its cheaper, and the reliability of sandpaper is dependent on the flat surface you use it upon, whereas the reliability of a lapping stone is dependent on the wear-and-tear of the lapping stone, which after much use has the tendency to become lop-sided. Do what you think is better! There are those who also get really into the honing process and buy magnification systems so that they can see the razor’s edge under extreme magnification. I think this is unnecessary, but nonetheless pretty cool. Let’s assume I am resetting the bevel on a razor. Starting off, I cut a piece of electric tape to fit along the spine of the razor. This protects the steel-spine, which you DON’T want having metal removed, from the abrasive surface of the stone and allows for a slight elevation advantage which better develops the cutting edge. Depending on the razor, you may need to use two pieces of tape, but hardly ever will you need to use more. Next, I apply warm water to the surface of the 1,000 grit stone. I then use my slurry stone, which has been soaking in warm water for the past few minutes, and rub it against the surface of the 1,000 grit stone, carefully applying pressure as needed and constantly turning the stone as not to wear a section too much. The stone is prepped and ready to go! At this point, I now bring the razor flat on the surface of the 1,000 grit stone, blade pointed away from me. Some of you may have had a barber college teach you to hone a razor with the blade faced toward you, but I argue that this is a great way to sharpen a knife, not a razor. With the blade facing away from you, gently begin making small circular motions while slowly moving the razor in the cutting direction. I try to get around thirty circular motions in a single direction. When you get to the end, careful not to push the blade over the edge of the stone (ruining the cutting edge against the abrupt edge! ), flip the blade the other direction by turning it a top the stone and not underneath. When I first started, I had a bad habit of flipping the blade the wrong way when I would go the other direction, and on a few occasions, I scrapped the cutting edge of the blade against the surface of the stone and had to start over. Now, I do this circular process a total of four times—two times up, and two times down. If you were to look at the edge under a microscope, it would look awful! It might be uniform, but the actual surface would look all scratched up due to the circular motions. This is where you start the polishing, and thus the “better cutting,” process. With the bevel set fairly well, I then place the razor back on the stone and gently push the razor—starting away from me, then toward me—in an X-pattern. This creates that uniform pattern on the razor which makes for a more comfortable cutting and shaving experience. I have what is called the 100 rule: 100 passes on each stone. Some people will do 100 passes on one stone, then 200 passes on another, but as a general rule of thumb, I start with 100 passes. So on the 1,000 grit stone, I will have pushed the razor up 50 times, and pulled down 50 times. When performed on the 1,000 grit stone, you should have a really decent edge started. The rest really comes easy—just repeat! I move up to the 4,000 grit stone, then to the 8,000, then to the Carborundum, then….you get the idea. Start with the lower grit stones, and then move your way up from there! As far as the cutting edge is concerned, I have produced some really decent razors on the 8,000 grit stone as the highest grit finishing stone. You don’t need to have stones 10,000+ grit, but it certainly makes for a better razor! If you just want to hone a razor that will cut, albeit rather uncomfortable depending on the razor, then you can probably finish on an 8,000 grit stone, although I suggest eventually investing in some high grit and quality stones if you really want to develop your razors and skills. Let’s talk about strops. For those of you familiar with modern strops, you are already aware of the two different lengths of a strop and what purpose each side serves. For those of you wondering why there are usually two different leather strips, or “lengths,” and why one is not good enough, let me take a moment to elaborate a little on the strop design. Generally, a strop will have a light side (secondary length) and a heavy side (main body). The light side serves to (1) remove any burrs or rust on the edge of the blade in order to prepare the edge for a good “refreshing,” and (2) to warm the edge’s metal by means of friction in order to allow the heavy side to properly freshen the blade. This obviously means that the heavy side is specifically for refreshing the blade in a quicker and more efficient manner that the lighter side. The heavy side is what actually keeps the blade sharp. I personally use a J. Ryan & Co. Custom Horsehide Strop, and highly suggest contacting J. Ryan & Co. if you are in the market for an heirloom item. If you do not want to take the big plunge into such a luxury item yet, keep in mind that here at MD Barber Supply, we carry really good quality beginner strops that will get the job done, and won’t break the bank. I know it seems silly, but you really want to make sure you are using a good piece of leather. The quality of the leather can make or break the strops refreshing capability. As far as using a strop is concerned, you should be stropping your blade before every use, and it does take a little bit of practice. More than likely, your first time stropping a blade will result in you “rolling the edge.” If you hold the blade at a bad angle, or if you apply too much pressure/leverage, the cutting edge will fold over on itself, dulling the cutting capability. Stropping a blade is the art of finding the perfect balance between pressure, angle, and passes. I generally keep to the 60 rule: 60 passes on the light side, and 60 passes on the heavy side. If the blade is freshly honed, I will do 30 passes instead. You do not want to “over-strop” the blade, which is easy to do if you are not keeping track of the passes. You are ready to shave! This is obviously a brief picture of the entire process, as I could go on for days concerning the different types of straight razors and tricks in honing a full-wedge razor, or a full-hollow ground razor. To restate what I originally said in the beginning, learning how to hone a razor takes practice, and there’s really not a single perfect way or method of honing. Just get out there and start! What I explained here are just some tricks and tips I have found, discovered, or learned from others in developing a method that allows me to produce great edges. Experiment for yourself, but be warned—it gets addicting! The Best Water-based Pomade on the Market! First, you need “Proper Display.” I don’t mean buying massive retail hardware, shelving, racks etc…I simply mean a clean and enticing retail space. It doesn’t have to be majestic, and it doesn’t have to be expensive or even look official. A proper display constitutes a space where the customer will experience 3 things: (1) eye-catching, (2) organized, and (3) products they actually want. Story time: I visited a shop where the owners were trying to set up a retail section in the corner, but they had the product in the original wholesale boxes on a folding table with shipping tape hanging off the side, and no prices marked. It was dusty, covered in hair clippings, and rather unappealing. It looked extremely unprofessional! I suppose it caught my eye, but not for a good reason. Instead, think of ways where you can pose the product in a way that is going to catch the customer’s eye when they walk into the shop, and before they leave (in a good way!). Make sure this space is organized and that your entire product line is marked with up-to-date pricing. In the same way, make sure you always have enough product on hand to fill the space. You don’t want to have a single dusty jar representing your retail line. Stack the product in a way that looks “artsy,” whether it be in a pyramid, or lined up and slightly turned in a direction as to reflect light in a positive fashion. Eye level is also important. You don’t want your product too low, or too high. Somewhere in the 5-6 foot range is perfect—people shorter barely have to look up, and people taller barely have to look down. Don’t put your product on the floor, and do not put your product up high. If you need a shelving unit, check your local thrift and antique stores for a great, cheap find. I found a vintage wine-rack with tons of slots and shelving for less than $50 a few years ago. I don’t use it for wine—I use it for all of my wet-shaving accruements like straight razors, shaving brushes, soaps, etc… I use it every day, and it looks AWESOME! You don’t have to break the bank to make a good display! I can’t hit on this enough: make sure you are carrying products your customers actually want to buy. If you think a handmade comb is really “neat,” so you order 100 of them and mark them up appropriately, but your customers don’t want it, well, it looks like you are stuck with 100 handmade combs. You might think it’s an awesome idea, but your preference comes second to customer’s purchasing habits. Find that need, and then fill it. Is it a pomade? Great! Fill your shelves with pomade! But now you need to identify your customer’s spending habits. Is a $20 jar really your customer’s price range? Maybe it is, maybe it isn’t. That’s all dependent upon your customers and location. Need help deciding what to carry? Our phone lines are open to ask questions and give ideas. Second, you need to develop “Proper Advertising.” Let your customers know you have the product they want for sale. You can do this in a few ways: first off, actually use the products you are selling and become knowledgeable on the details of the product. If you are carrying an aftershave, actually use it on customers after a shave. They will say, “Oh man! That smells really great! What is that! ?” Then you come in and say, “This is my MD Topaz Elite aftershave. I have currently carry three different aftershaves, Topaz Elite, Captain Black, and Conquistador, all in 8 ounce bottles for $15 each. If you use it every day, 1 bottle should last you between a month and a half and two months. Can I get you one to take home today?” Too easy. Not every customer will buy one, but you will sell more than you would have otherwise! Utilize product posters and signs as much as possible. Many suppliers will have a variety of posters that you can place in your shop, and when coupled with digital Social Media banners, they prove to be extremely useful for getting the interest of potential customers. Many of your customers have already liked your page on Facebook or interact with you on Twitter, so get a hold of some digital product banners (usually provided by the manufacturer) and plaster them across your social media pages, with the physical posters in your shop. When in doubt concerning a specific style or design, keep in mind—you can never go wrong with tasteful. Another idea for advertizing your retail can be found in advertizing you and your shop. I know of a barber shop in Eastern Montana that runs radio ads for their business, and in the radio ad they mention their product line. This shop can be found in a town of less than 9,000 people, yet they push over 50 jars of pomade a month and various other products in the same timeframe. They may be pushing over $1,000 a month in product sales, which for a small town is absolutely fantastic. Develop proper advertisement, and you may see a wonderful return on your investment. Of course, you don’t need to run radio ads, but if you did you should also keep in mind that you do not need to continuously run the ads. Perhaps you run an ad for 2 months out of the year? The last tip I have for you is “Proper Development.” Always keep it fresh. If you are starting a retail line, it is completely acceptable to begin with one or two products, but make sure you are continuously adding new flavor to this product line. Don’t give the consumer the opportunity to get bored with your line-up. Consider setting goals for every month, or every other month: release a new product within your goal’s timeframe, and make sure you are keeping track of the numbers. Over a year’s time, you will have added 12 new products to your shop’s retail section and since you were keeping track of the numbers, you are now able to invest into the products making you more money, and will have the capability of discontinuing the products just taking up space on your shelves. This is the fun part in retail, as it gives you the opportunity to experiment a little bit. You decide what goes on the shelves, so if you want to experiment with aftershaves, alum blocks, pomade, even razors and blades, then you absolutely can! Some items may take longer to sell than others, but by the time you have developed your product line, your profit margin is not dependant on one product alone. Properly develop your product line, and your bank account will properly develop along with it. The “Proper Method” seem easy enough: Proper Display, Proper Advertisement, and Proper Development. You might be rolling your eyes saying, “Tyler, that is all common knowledge! It doesn’t take someone with a business degree to see that.” Well, my question is, if it’s so “easy,” why aren’t you doing it yet? If you are utilizing these 3 tips already, then I encourage you to keep developing! Check it out…if you truly invest in your product line, it’s only a matter of time before you start calling yourself “Gent’s Barber Shop & Grooming Accruements.” Just think of it…4 barber chairs in one room, and an entire beauty and grooming shop in the other room. What if that pool table room turned into an area with nothing but money-making retail items? Imagine if the other barbershops in the area came to YOU for their everyday items! And to think it all started with a single product. MD Barber Supply exists to help make this a reality for you. Call or email us for consultation!